Cut The Crop: When To Harvest Your Cannabis Plant? So you patiently waited and made it through the flowering phase of your cannabis plant… Whereas the plants work is now (almost) over, your biggest task is about to start. Because as soon as the plants are done ripening it’s your turn to cut the crop. But how exactly do you know when to harvest your cannabis plant? Harvesting cannabis plants is all about timing. Since there is only a relatively small timeframe wherein a bud is ‘perfectly ripe’. This has everything to do with the plants trichomes, the glistering glands that make cannabis flowers so damn sticky. These trichomes house the plants active components: cannabinoids, like THC and CBD. When they’re harvested at the right time, that is. Because if you cut the crop too early, these cannabinoids won’t develop to their full potential. Resulting in weed lacking psychoactive effects. Harvesting a cannabis plant too late though, can result in rotting of the buds or even self-pollination. Besides that, it will definitely make the effect of your crop sedative and sleep-inducing. Find more on that subject below, under ‘Trichome Colour’. Considering we think that is one of the best methods to determine if your flower is ready to be harvested. 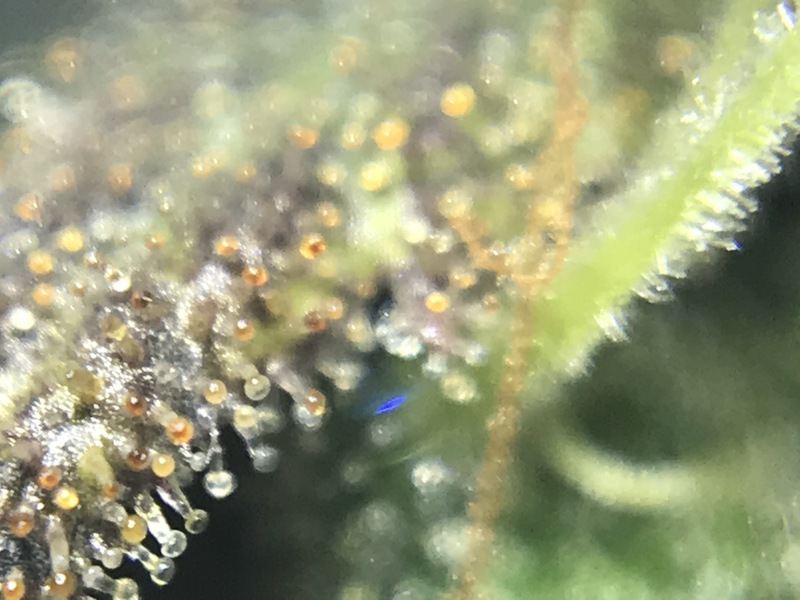 The most accurate way to determine when to harvest your cannabis, is to have a close look at the trichomes. A very close look – using a magnifying glass or microscope like this one – at least. As mentioned before, these small trichomes house the plants cannabinoids. Needed for the sought-after ‘high’, ‘stone’ or medical relief. 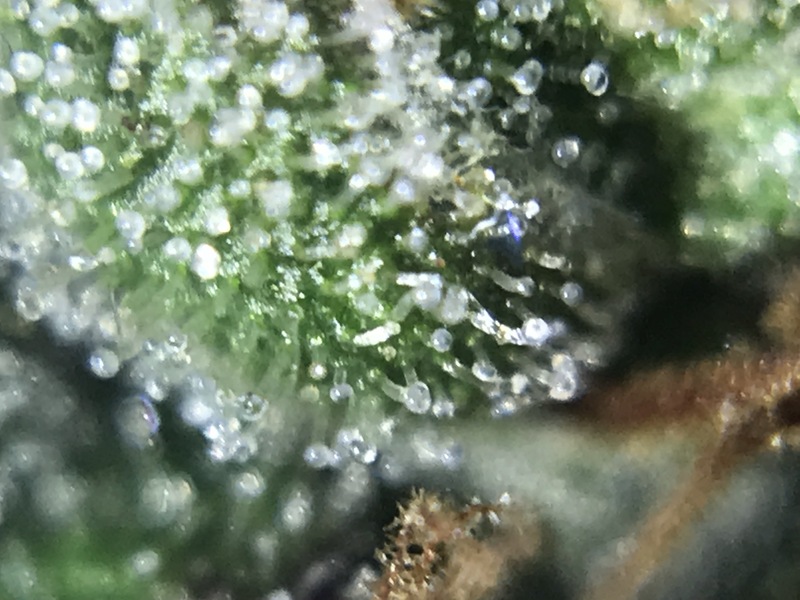 By looking at the trichome-heads with a magnifying tool, you can see how far along the cannabinoids are in their development. 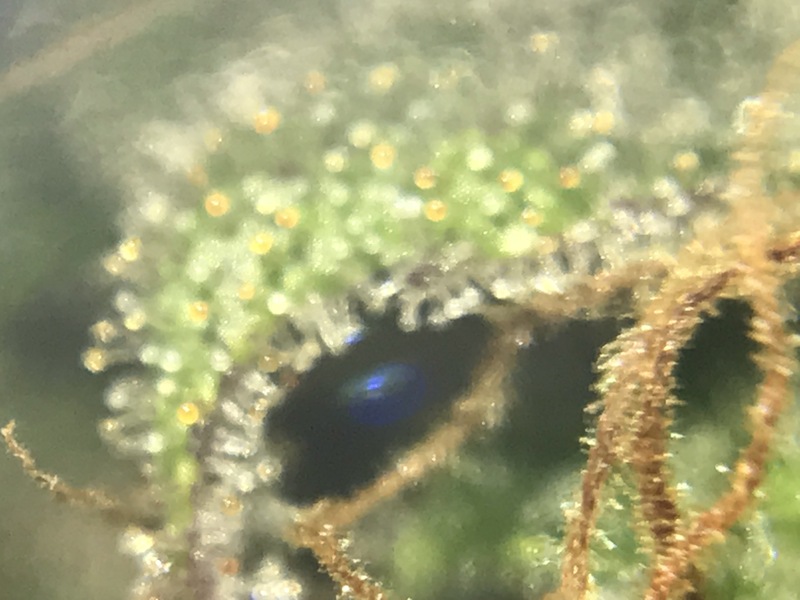 Do the trichomes look watery or transparant with only a few milky ones, like in the picture above? Then the THC and CBD haven’t fully developed yet, and the flower won’t provide any heavy psychoactive effects. Harvesting weed in this early stage can be beneficial for some, though. For people in search of a light cannabis-variety to start the day with for example. If you’re looking for the potency peak – the moment where the THC level in the plant is at its highest – for a heavy psychoactive effect. 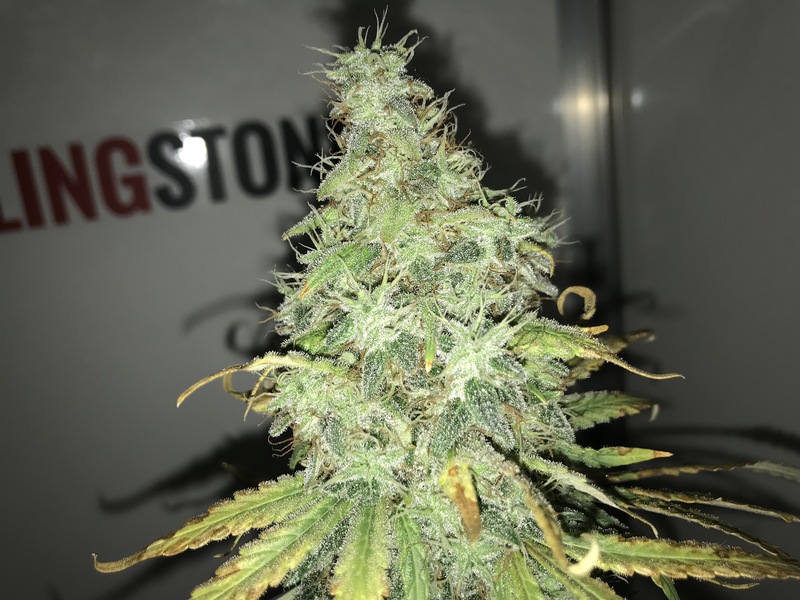 Then you’re looking to harvest your plant when around 70-80 percent of the trichomes look milky; and some already appear amber/orange/brownish. In the milky trichomes, the THC and CBD molecules are perfectly developed and at their full potential. The amber trichomes show THC after it’s been broken down. Turning it into another cannabinoid known as CBN (cannabinol). According to renowned experts at Steep Hill Labs, this cannabinoid is extremely sedative. They say 5mg CBN is as effective as 10mg Diazepam, a pharmaceutical sedative. Harvesting plants in a later stage, when most trichomes look amber, will therefore result in a sleep-inducing, narcotic stoned effect. Even with a sativa-dominant strain like Lemon Ice, if you can imagine.